Darryl Anderson* is forty years old, and a Seattle native. Darryl has been working in video production at a local TV news station for fifteen years, and recently lost his job. With having to pay his own health insurance and rising housing costs, Darryl is uncertain of how to continue working and living in Seattle. Darryl is struggling to make a living as a creative professional in this city. In order to better understand the state of Seattle’s creative economy and the challenges facing local creators like Darryl, the Office of Film + Music (OFM) conducted a Creative Economy Survey in September 2017. The creative economy is defined as the network of industries whose work, products or services are inherently creative or artistic. 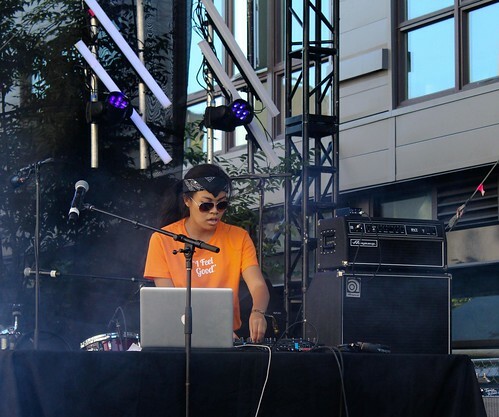 This includes sectors such as architecture, creative technology such as virtual reality, preforming arts, music, film and media, and other fields. 89% rated access to affordable housing as difficult or very difficult. 82% rated access to affordable workspaces difficult or very difficult. 79% of survey respondents were white, while 11% of the respondents identified as people of color, with 10% preferring not to indicate their race. For comparison, roughly 70% of Seattle’s general population is white and 30% are people of color. People of color more often rated financial resources and professional development as “very necessary” to achieving success in their creative careers. 35% of people of color rated financial resources as very difficult to access, as opposed to 19% of white respondents. The Office of Film + Music is committed to ensuring that all communities are fairly represented in the forthcoming study. Survey respondents emphasized how much they value Seattle’s reputation as a creative and progressive city. In their view, the creative economy benefits Seattle by developing Seattle’s unique global identity, creating a sense of community and increasing cultural diversity. When asked about their vision for the future, they stressed the importance of affordability, maintaining a vibrant arts and culture ecosystem, and diversity and inclusion. This initial survey laid the groundwork for the larger Creative Economy Study to be completed this year. The results of the study, in conjunction with other data, will help the City move forward in finding solutions to help artists and creative professionals live and thrive in Seattle. Stay up-to-date on the Creative Economy Study and other news from the Office of Film + Music by subscribing to our newsletter. The Seattle Office of Film + Music’s first monthly Mixer event of the year allowed guests to immerse themselves in the latest virtual reality technology while networking with other industry professionals. Hosted this month at the Vera Project, attendees tried out HTC Vives and demos from multiple VR/AR/XR/360 video creators. Local nonprofit SIXR, UW CoMotion, and XR cinematic content creators Electric Dream Factory were all on hand to show guests the latest and greatest in this pioneering industry. Seattle’s booming tech scene makes us one of the most exciting places to be in VR technology. The January Mixer showcased some of the best of this new technology and the possibilities it offers for new ways of filmmaking and creative storytelling. The Mixer is held on the last Wednesday of every month, featuring rotating activities and presentations throughout the year. Guests of all ages are welcome to come enjoy food and drinks and mingle with Seattle’s creative professionals. The Mixer will be hosted at Seattle Center throughout 2018, with February’s Mixer shaking down at KEXP on February 28. Have something you’d like to see at an upcoming Mixer? Email us at filmandmusicoffice@seattle.gov. 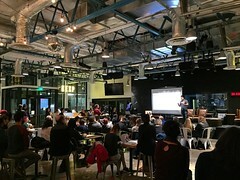 A pilot workshop held in late 2017 provided a group of Seattle-area artists and creative enterprises with free training on how to turn their creative passions into successful businesses. 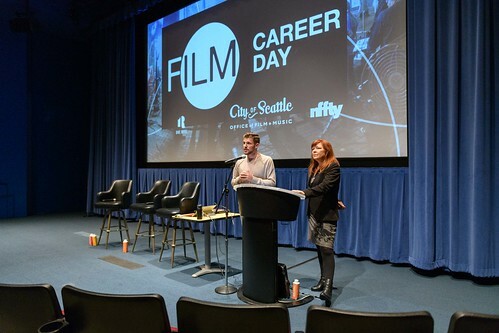 The two-day workshop, hosted by Ventures Nonprofit in partnership with the Seattle Music Commission and the Seattle Office of Film + Music, helped participants work through the basics of starting or growing their small business. Ventures Nonprofit provides training, resources and mentorship for people with limited resources to be successful in entrepreneurship. 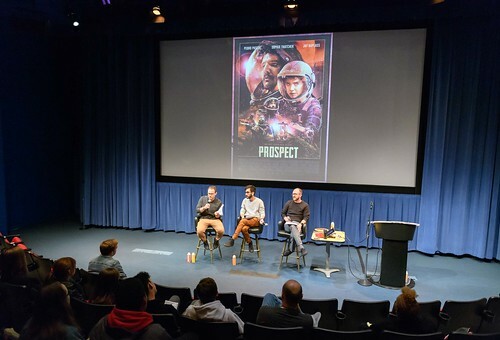 This pilot workshop series, funded by the Seattle Music Commission, applied Ventures’ traditional business education to the world of film, media, music and dance. Participants worked individually and in groups to develop elevator pitches for their businesses, practice the nuts and bolts of finance, and more over the six-hour course. View the workshop – divided into lessons on different topics – on OFM’s YouTube channel. Stay tuned for information about future training opportunities. Do you have feedback or ideas about supporting creative businesses? Email us at filmandmusicoffice@seattle.gov. Seattle has earned its reputation as a city of cat-lovers, so it comes as no surprise that an audience of over a hundred joined the SIFF Uptown Theater for an International Cat Day Celebration on October 29. 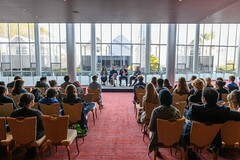 While SIFF is best known for its annual Film Festival held every spring (the largest film festival in the United States), it also hosts special screenings, educational events, and regular cinema programming throughout the year. Locally owned and operated since 1976, SIFF offers its patrons a bevy of unique films and events (and reasonably priced snacks) year-round at SIFF’s three classic movie houses. The National Cat Day Celebration featured a special screening of the documentary Kedi and hosted a cat toy-making station, courtesy of Mud Bay. The screening began with a 50-minute curated selection of the best cat videos the internet has to offer, including an extended collection of the YouTube famous Maru and ending with the quintessential (and local!) keyboard cat. While most of us know what it’s like to watch a cat video at home, the SIFF show was a unique chance to watch along with a crowd of vocal and enthusiastic cat lovers. The collection was followed by Cats of the Urban Wild, a 10-minute short film from the New Yorker about volunteer efforts to effectively and humanely control the overpopulation of stray cats in New York City. The feature presentation, Kedi, is a critically-acclaimed documentary on Istanbul’s street feline population, directed by Ceyda Torun. The film is a charming series of vignettes on individual cats across Istanbul and the humans in their lives, all interspersed with beautiful, sweeping shots of the city. You can find information about SIFF’s variety of upcoming events here. SIFF also offers year-round educational programming for youth, filmmakers, and the general public. See what they’re up to on Facebook, Twitter, Instagram, and on their very own media page. Although this isn’t the first band Novoselic has been in since Nirvana, it’s an exciting new project with experienced and talented musicians. Novoselic did some recordings with Foo Fighters, the band Nirvana’s former drummer, Dave Grohl founded after Kurt Cobain’s passing. Giants in the Trees was created only last year, and have been mostly playing local small venues. 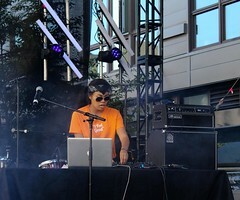 Over the summer, they have played shows in Seattle, Portland, Spokane, Skamokawa and Olympia. Giants in the Trees is still small and local, despite having former member of a widely recognized iconic band as their bassist. Krist Novoselic is a Grammy award winner and a member of the Rock and Roll Hall of Fame. The band has been recording new music for a project that has yet to be titled. It’s no secret that we live in a gorgeous part of the world here in Washington. The diverse and scenic terrain of our region helps attract films, commercials, and television productions to film here. Indie hit Captain Fantastic is a recent example of a production that benefited from – and draws attention to – our local landscapes. The film last year took home SIFF’s Golden Space Needle Award for Best Film (pictured below) and received a 10-minute standing ovation at Cannes. The accolades have continued to roll in, with the film’s star Viggo Mortensen up for Best Actor at this weekend’s Academy Awards. As we head into Oscars weekend, we turn to Captain Fantastic location scout and manager, Dave Drummond, to learn more about the production and what it means for our local film industry. OFM: How did you get your start in film, and how has your career evolved? DD: After working in the corporate world for several years, I left to pursue a career in the film & video business. I started out working in a variety of roles, but over time determined that location scouting & management were a good fit for my skills. After initially working on short films and small industrial videos, I was fortunate to mentor under a longtime location manager, who gave me the opportunity to work on Grey’s Anatomy. From there I began working on larger and more complex projects, including several different films and television shows that have shot in Washington. OFM: How did Captain Fantastic come to be filmed in Washington? DD: The story was written with the forests of the Pacific Northwest in mind, but we had to prove to the filmmakers that Washington was the best fit for the project. I met with the director and producers very early in the process, showing them various wilderness areas in the Cascade and Olympic mountain ranges. They were thrilled with the possibilities, but it was the Motion Picture Competitiveness Program that solidified their willingness to shoot here. Without the film incentive, they would have taken the project to Oregon or Northern California. OFM: Captain Fantastic filmed in more than 25 different locations in Washington. How does that compare to other films you’ve worked on? DD: Captain Fantastic was one of the most challenging projects I’ve worked on and included locations in several different parts of the state, including the Olympic Peninsula, the North Cascades, and eastern Washington. The nature of the story required many of our locations to feel wild and remote. One of our primary sets required the building of a new road in order to reach it. We also worked with the US Forest Service and the Department of Natural Resources to film in wilderness areas that had not been seen before on film. OFM: What was your favorite part or a noteworthy memory of working on this production? DD: One of many highlights was the filming of a climactic scene at Deception Pass State Park, overlooking the Rosario Strait. It was a spectacular location, but one that often experiences low-flying aircraft from the nearby Naval Air Station on Whidbey Island. The Navy was kind enough to provide us with an air traffic control officer, who spent the day with us on set. He coordinated directly with the control tower to minimize flights directly over our filming location. OFM: What’s your take on the economic impact that Captain Fantastic and other films have on Seattle and Washington state? DD: As the location manager on films like Captain Fantastic, I see the economic impact these projects have firsthand. Just one project like this injects hundreds of thousands of dollars into local economies. Much of that money goes to businesses and support services that are not specifically part of the film industry. In the location department alone we typically spend money on things like motels, restaurants, facility rentals, contractors, wilderness guides, off-duty police officers and security services. On Captain Fantastic we also made donations to a number of non-profit organizations that supported our efforts, including Camp Korey, the Washington Climbers Coalition and The Mountaineers. OFM: What are your hopes for the local film community? For our region as a place where films are made? DD: Washington State is poised to become a much larger player in the nationwide film industry, but only if the Motion Picture Competitiveness Program is renewed and increased. The industry talent and services we have developed locally, as well as the diversity of locations the state offers, can compete with anyone in the U.S. or Canada. But without a strong film incentive, producers in today’s competitive market will look elsewhere to make their films. Dave Drummond is a film location scout and manager based out of Seattle. See what he’s been up to at drummondmedia.com. On Sunday, February 26 (before the Oscars), Dave will be giving a presentation at the SIFF Film Center, featuring clips from over 25 different movies that have filmed in Seattle and other parts of Washington State. Dave will share some of his experiences working as a location scout and manager, revealing some of the unique and memorable locations featured in the history of Seattle films. 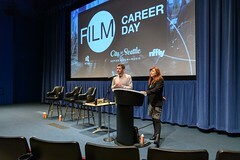 For more information or to purchase tickets visit siff.net/education/film4all/made-in-seattle. Kate Becker, the Director of the Office of Film + Music + Special Events, released the following statement in response to a shooting outside the Crocodile on January 19, 2017. “I would like to express my deepest condolences to all those affected by the shooting last night at the Crocodile Café, particularly the three hospitalized victims, as well as the concertgoers, performers, staff and management of the club. “Rest assured all steps are being taken to apprehend the shooter and ensure the safety of our city.